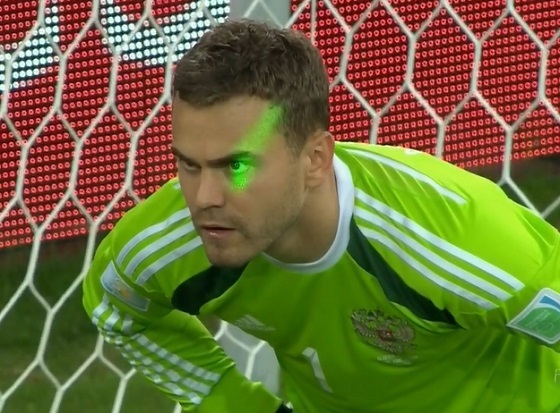 How Do You Say “Laser-gate” In Russian? The laser incident isn’t the first time a fan has tried to hobble a player at this year’s tournament. Earlier this month, Ghanaian witch doctor Nana Kwaku Bonsam (aka Devil of Wednesday) claimed he placed a curse on Cristiano Ronaldo’s knee. Ronaldo started all three of Portugal’s games, but he played poorly and scored only one goal. That’s a fact. You can see it in the footage.